ST. CLOUD, Minn. — Jon Lizotte did not have NCAA Division I men’s hockey programs knocking his door down when he was playing defense for Grand Forks Red River High School. 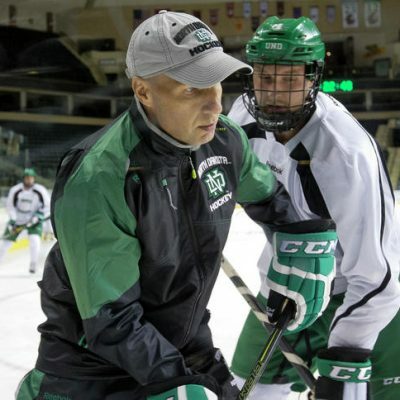 It took until his second full season of junior hockey with the Minot Minotauros of the Tier II North American Hockey League before any serious discussions began to take place … and he ended up being a recruited walk-on for St. Cloud State University. His next step in hockey comes much more quickly, though. 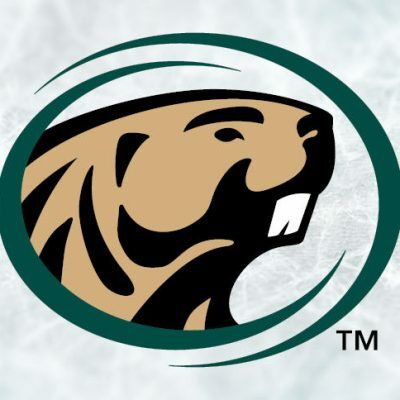 Lizotte, a 24-year-old, signed an amateur tryout contract with the Wilkes-Barre/Scranton Penguins of the American Hockey League on Monday, April 1. St. Cloud State’s season ended Friday with an NCAA tournament loss to American International College in Fargo, N.D., and it was Lizotte’s last game of college eligibility. Wilkes-Barre/Scranton has six games left in its regular season as the Penguins try qualify for the AHL playoffs. He has not been told if he will get into one of three games for the team this weekend. Lizotte was not drafted by an NHL team, but this was not the first time that Lizotte had heard from the Pittburgh Penguins. He took part in their NHL development camp last summer. 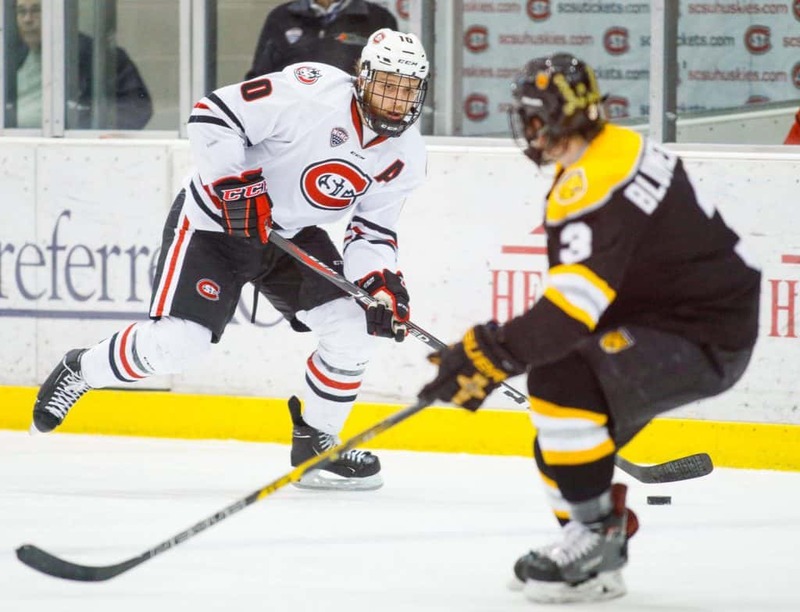 Lizotte’s offensive numbers were not awe-inspiring his senior season with the Huskies with eight assists and nine points with 50 penalty minutes in 39 games. But he was also a plus-12, was on St. Cloud State’s top penalty kill unit and, for the second straight season, was on the team’s top defensive pairing with Jimmy Schuldt. “He just gets our unsung award because he never gets any credit,” Huskies coach Brett Larson said of the two-year alternate captain. “He was a leader on our penalty kill and with Jimmy playing against the top lines in the country. He played in 147 college games (out of a possible) 156 and finished his career with 10 goals, 46 points, 93 penalty minutes and was a plus-47. Not bad for a guy who did not have an athletic scholarship when he got to campus. 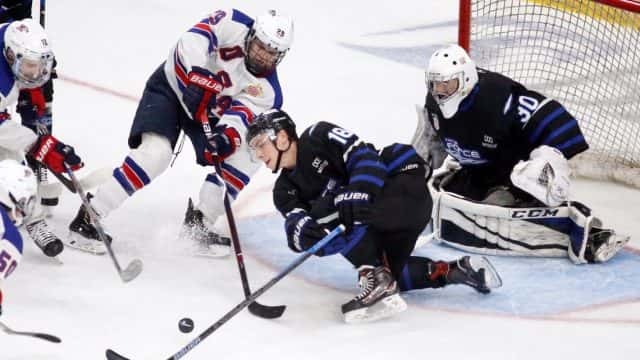 “I think this year, I took a little more pride in my penalty kill and playing shutdown defense, limiting the chances of other teams,” Lizotte said his senior season. “I thought I took a step in the right direction. There were just little things that helped me out this year. And there is one element that is coming full circle for Lizotte with his pro career. He has been reunited with former St. Cloud State defenseman Ethan Prow, who is in his third full season with Wilkes-Barre/Scranton. “It is good seeing a familiar face welcome me,” Lizotte said of Schuldt’s defensive partner their freshman season at SCSU. “I met up with him my first day here and went to dinner with him and a couple other teammates. Prow was the captain and the NCHC Player of the Year for the Huskies in 2016, when St. Cloud State tied a school record for wins in a season with 31. This season, he has 17 goals, 46 points and is a plus-26 in 69 games. Prow also played for the Atlantic Team in the AHL All-Star Classic. Lizotte is on track to graduate this spring with a degree in business management from St. 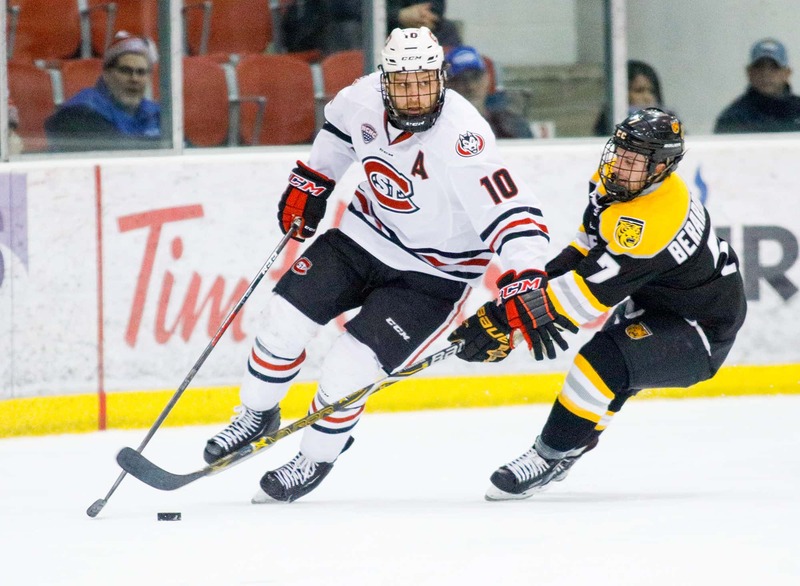 Cloud State and his hoping to follow Prow’s example into pro hockey. Lizotte helped Grand Forks Red River win a North Dakota state boys high school hockey championship in 2013 before playing two seasons in Minot and was a captain his second season with the Minotauros. Mick Hatten can be reached at mhatten@forumcomm.com. Follow @MickHatten on Twitter, Instagram.